There’s so much to be Thankful for and here at GBRC we are especially grateful for all of you.Our members and volunteers are truly what make this club extra special. We hope you all had a wonderful Thanksgiving and a lovely entire month of November. Stay tuned for the December edition of the GBRC Gazette for a full Turkey Trot 5k race write-up by Ali Raetz and more club-related news. 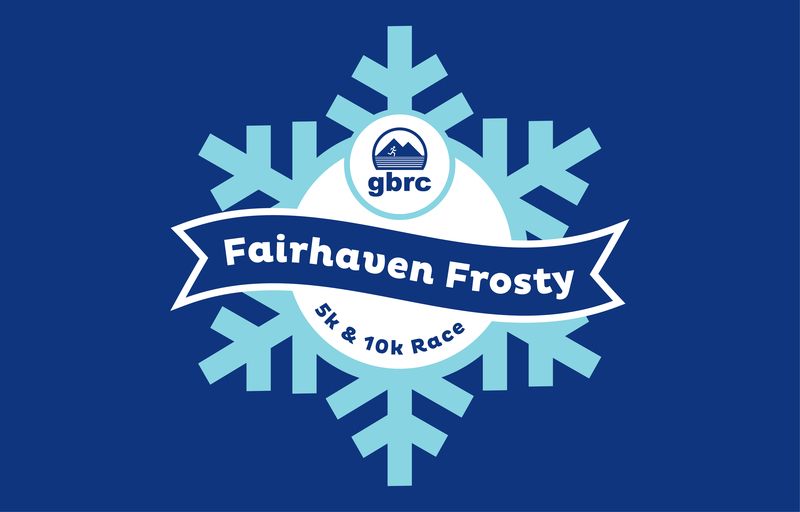 We hope to see you at the Fairhaven Frosty on December 1st for our last GBRC race of 2018! 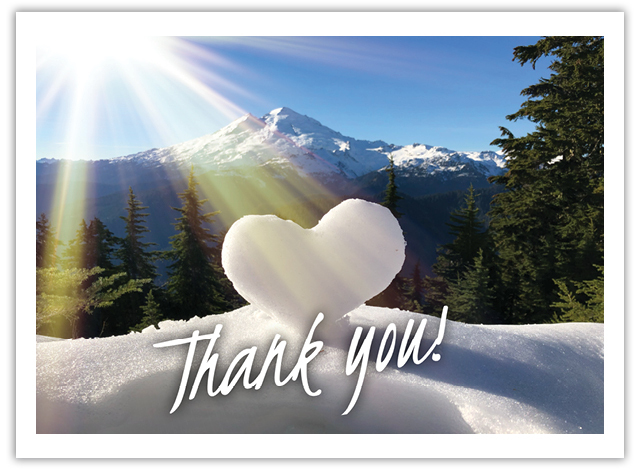 Thank you for being members of the Greater Bellingham Running Club! Still trying to figure out the perfect gift for a runner you love? How about signing them up for a GBRC membership? You can give any of our membership types. Upon purchase a unique gift code will be created to give to your recipient as well as a printable gift certificate. 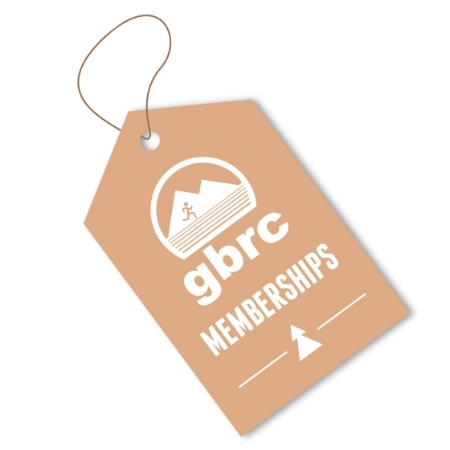 Gift Certificates for GBRC Memberships are now available just in time for the holidays. Track workouts will start up again on Wednesday, January 9th of 2019. See you in the new year! On the same day as the annual Turkey Trot 5k another special event was taking place just across town. The culminating event for the YMCA Girls on the Run and Trailblazers program is a 5k run that starts and finishes at Blodel Donovan park with a route taking runners thru the trails at Whatcom Falls Park.Hundreds of kids and their families from all over the county showed up on this frosty but sunny Saturday morning to accomplish a great feat of running. It was impressive to see so many young smiling faces cross the finish line that day. A full 5k is a long way to run for any human and these families accomplished it together, many of them for their first time ever. 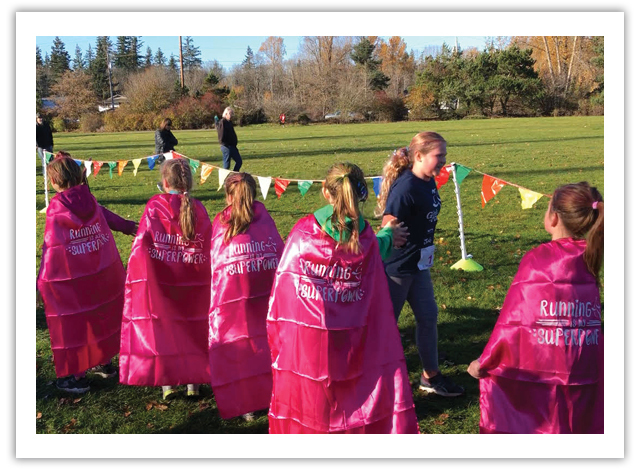 Girls wearing pink capes that read, “Running is my SUPERPOWER!” gave finishers high fives as they neared the rainbow colored ballon archway over the finish line while crowds of spectators cheered them on for the last few feet of the run. The finishers all received metals for their supernatural accomplishment and the sense of pride was palpable in the fresh air of the park that day. I think it’s safe to say that these young people are well on their way to becoming healthy adults by undoubtably pushing past their thresholds for what they possibly didn’t believe was possible just a few months ago. Thanks to all the Coaches, Teachers and amazing people who created the Girls on the Run and Trailblazers programs and Thank you to everyone who continues to help make these programs possible for everyone who wants to participate. Running is for sure a powerful way to stay healthy and manage the stress that comes with growing up and being grown up. Originally, I am from Central California. I made my way north to Federal Way, Washington and lived there for about 10 years before moving to Oregon. I finally decided to settle in the beautiful Bellingham area after grad school. The freedom and feeling of accomplishment after achieving something you never imaged you could do. I ran as part of sports training in high school. However, I started running more frequently for health-related reasons back in 2008. I knew I had to change my lifestyle to avoid taking pills the rest of my life. 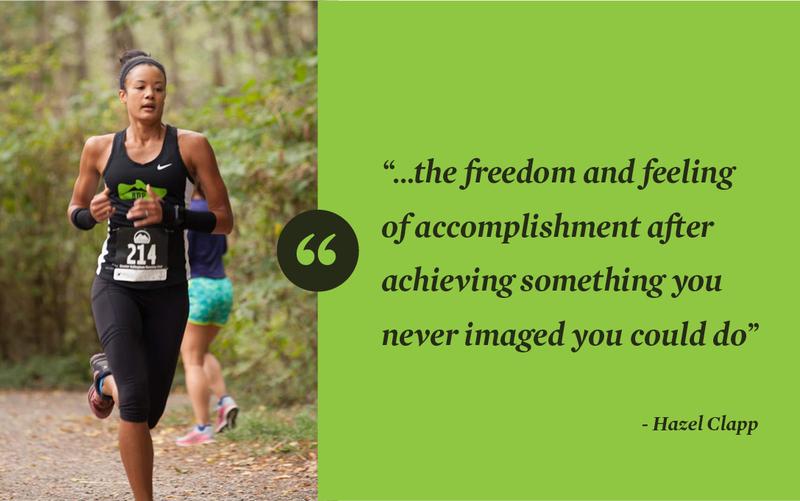 In a way, running healed me physically and emotionally—it was the perfect solution. I didn’t have a trainer and I never even knew there were people who raced outside of school or the Olympics. I began challenging myself to run farther and faster just to see if I could do it, not for any particular reason. A few years ago, I met a group of serious runners through a mutual friend, and they introduced me to the world of competitive running. They helped me with workouts, training, and moral support. 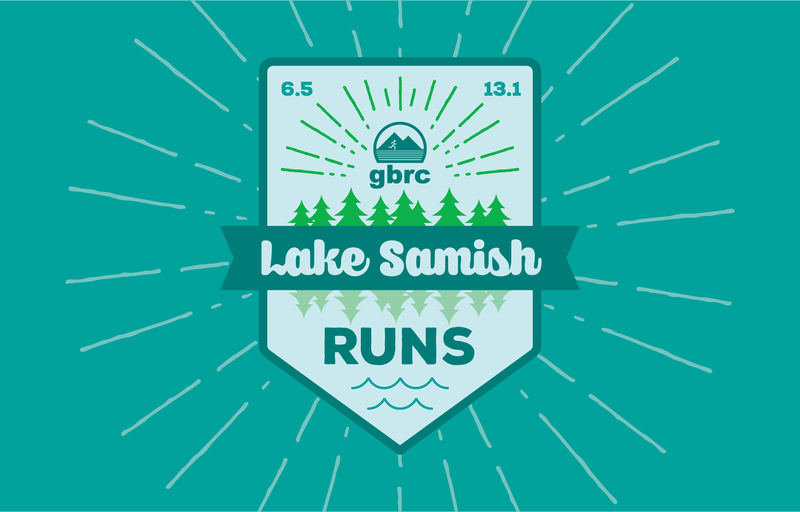 I wasn’t particularly sure where to start, so one of them told me about GBRC races. I signed up immediately and have been a part of GBRC ever since. All of my big events were in 2018, and I accomplished a lot of my running goals. I am unsure what new adventure awaits me in 2019. I hope to shave off more time in my half marathon and start training for ultras, but I have no particular event selected as of yet. For road, I prefer Nike Frees 5.0. I love how lightweight they are and how they support neutral runners. For trials, I like Solomon Pro Sense. Currently, my favorite distance is a half marathon.